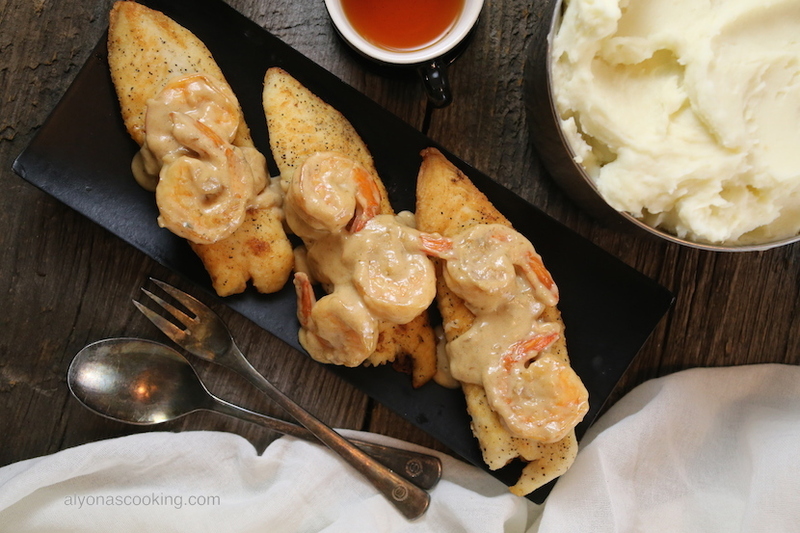 Seasoned & floured tilapia loins are fried and served over a warm creamy shrimp wine sauce that is made easy and done in one frying pot! 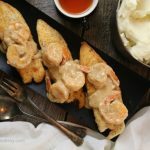 The slow simmered wine sauce evaporates and creates a gourmet sauce that is way better than a sauce you may have tried at a chain restaurant. 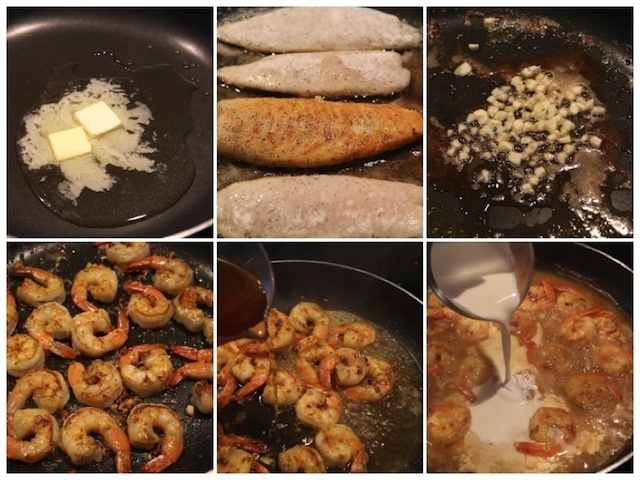 A big thanks to my friend (Lub) for sharing her easy tilapia dish! I love that it’s simple and delicious! The slow simmering technique is key to create a delicious and creamy sauce so patience is much needed to get the right texture and flavor. Boiling the wine over high heat will only result in the wine to disappear faster and leave you with a dry skillet and a sweet cream. Don’t be intimidated on the amount of wine as that will evaporate out, surely but slowly. Try this simple and gourmet like dish the next time you want to make a fancy dinner. Season thawed, washed and patted dry shrimps with Vegeta season to taste. Set aside. 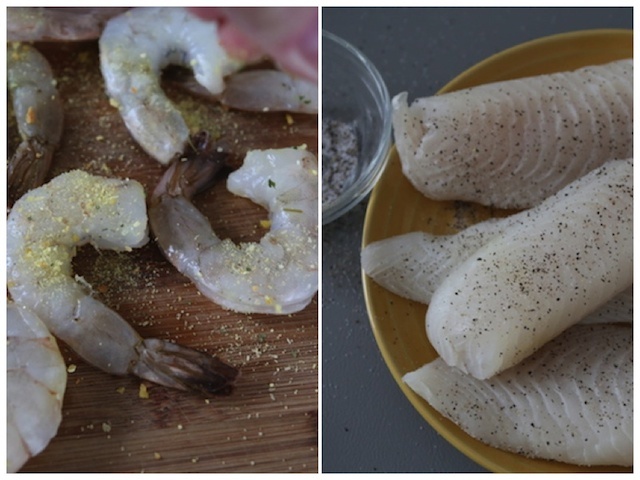 Season Tilapia loins with salt and pepper and set aside. 3. 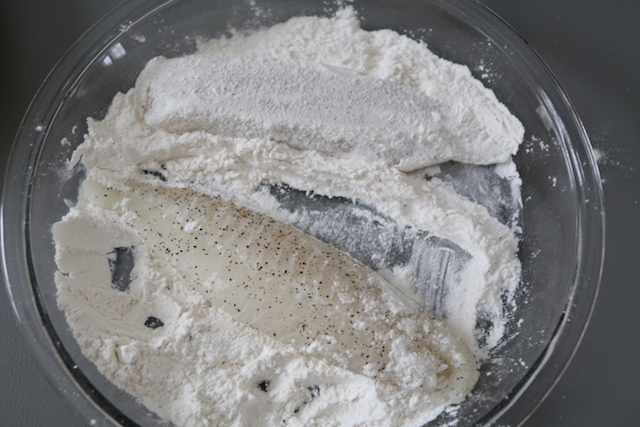 Dredge the tilapia loins in 1/2 a cup of flour until well coated. 4. Heat butter and olive oil a large non-stick skillet over medium heat. 5. Fry the breaded fish for about 4 minutes on each side; remove. 6. Add the minced garlic and stir for a minute; then add the shrimp and sear on each side. 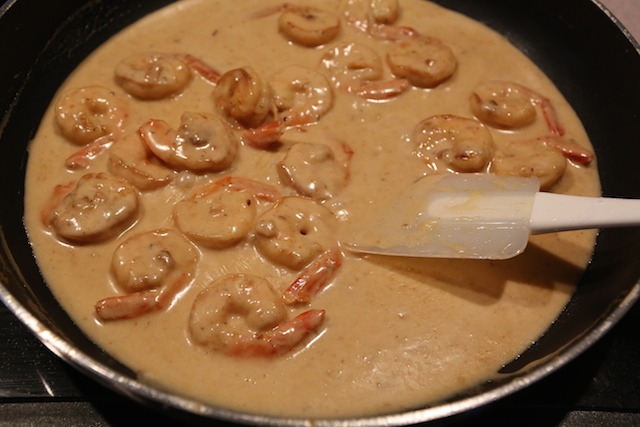 Sprinkle shrimp with 2 tbsp of flour and Increase heat to High incorporating the flour into the shrimp. 7. Slowly add the wine and boil over high heat for 2 minutes. Then reduce the heat to low and simmer wine for 7 minutes. 8. After 7 minutes add the cream and continue to simmer for another 7-10 minutes, stirring occasionally. 9. To serve place a fillet onto a serving plate and ladle the shrimp sauce over the fillet. Serve warm. Dredge the tilapia loins in 1/2 a cup of flour until well coated. Heat butter and olive oil a large non-stick skillet over medium heat. Fry the breaded fish for about 4 minutes on each side; remove. Add the minced garlic and stir for a minute; then add the shrimp and sear on each side. 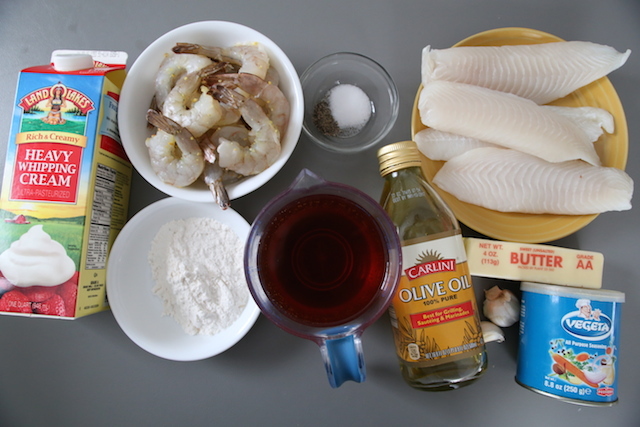 Sprinkle shrimp with 2 tbsp of flour and Increase heat to High incorporating the flour into the shrimp. Slowly add the wine and boil over high heat for 2 minutes. Then reduce the heat to low and simmer wine for 7 minutes. After 7 minutes add the cream and continue to simmer for another 7-10 minutes, stirring occasionally. 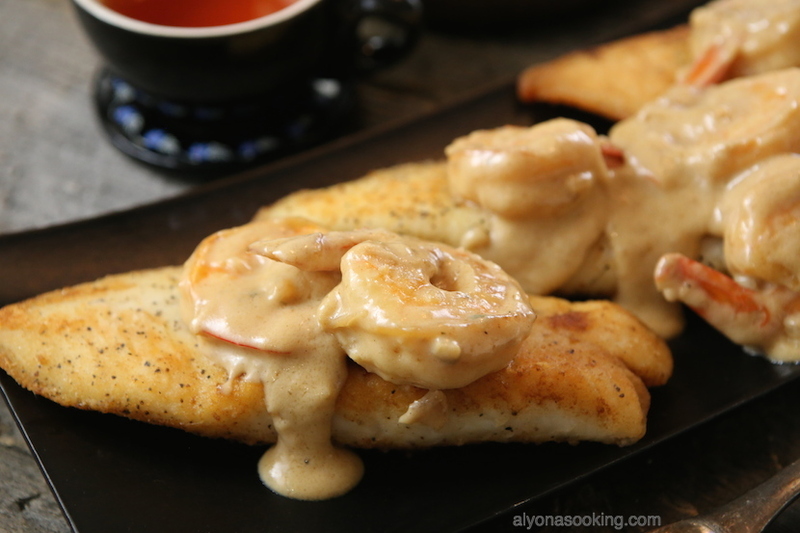 To serve place a fillet onto a serving plate and ladle the shrimp sauce over the fillet. Serve warm.